Gravity Flow version 1.6 is now available via auto-update and for download from the account page. This is a feature release that includes further integration with GravityView, support for updating post fields and their posts, repeat reminders for the assignee emails, and 3 new integrations: Constant Contact, Pipedrive CRM and SendinBlue. 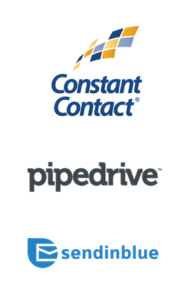 Gravity Flow administrators can now add workflow steps which integrate with Constant Contact, Pipedrive CRM and SendinBlue. This brings the total number of integrations to 38. See the full list of Gravity Flow integrations. GravityView (plus the GravityView Advanced Filtering Extension) can now be used to create Gravity Flow inboxes with lists of pending tasks. This provides an extremely powerful way to create form-specific inboxes with custom column order, custom content and labels, sorting and advanced filtering, images, personalised messages, caching and more. Read further details of the GravityView integration in the documentation. The automatic reminder email feature is already an essential part of the smooth running of processes for a lot of customers. Sometimes though, just one single reminder is not enough. So in this release we’ve added the ability to repeat the assignee’s reminder email. Here’s what the new setting looks like in the step settings. – Added support for GravityView to be used to create inbox views. Requires the GravityView Advanced Filter Extension. – Added updater support for beta extensions. Gravity Forms Constant Contact Add-On, Gravity Forms to Pipe Drive CRM Add-On, and Gravity Forms SendinBlue Add-On. – Added the custom confirmation message to the user input step. – Added support for the gform_field_validation filter to the user input step. – Added the gravityflow_status_submitter_name filter. – Added performance improvements to the status page. – Added support for repeat reminders. – Added the gravityflow_assignee_eamil_reminder_repeat_days filter. – Added support for manual activation in the User Registration Add-On. The User Registration step will now wait in a pending state until the account has been activated. – Updated the User Registration step to assigned entry to the newly created user account. – Updated merge tag processing for the Assignee and User type fields to support additional user property/meta modifiers. – Updated the gravityflow_workflow_detail_sidebar hook to include $current_step and $args as the third and fourth parameters. – Updated the user Input button text to “Submit” instead of “Update” when the default status is hidden. – Updated the styles of the workflow box when the sidebar is not active to remove the padding. – Updated the activity log and reports to exclude deleted and trashed entries. – Fixed an issue with the inbox page which would result in the no pending tasks message when an access token is used by an assignee who is a registered user but not logged in. – Fixed an issue which prevented the value returned by the gravityflow_feedback_approval filter from being used. – Fixed a fatal error loading the status shortcode on some sites. – Fixed the bottom bulk action drop down on the status page not displaying the print modal. – Fixed an issue which could prevent the value drop down for the Gravity View Advanced Filter Extension being populated with the Workflow Assignee choices. – Fixed an issue with conditional routing where the Source URL, Starred and IP fields are ignored in rules. – Fixed an issue which prevented the values from post fields being saved on the User Input step.